How well do you manage your time? If you're like many people, your answer may not be completely positive! Perhaps you feel overloaded, and you often have to work late to hit your deadlines. Or maybe your days seem to go from one crisis to another, and this is stressful and demoralizing. In this article and in the video, below, we'll look at 10 of the most common time management mistakes, as well as identifying strategies and tips that you can use to overcome them. effectively lies in prioritizing the tasks on your list. Many people use an A – F coding system (A for high priority items, F for very low priorities). Alternatively, you can simplify this by using A through D, or by using numbers. is essential to managing your time well, because goals give you a destination and vision to work toward. When you know where you want to go, you can manage your priorities, time, and resources to get there. Goals also help you decide what's worth spending your time on, and what's just a distraction.
. Here, you'll learn how to set clearly defined goals that will keep you motivated. , especially when you're facing a flood of seemingly-urgent tasks. However, it's essential to learn how to prioritize tasks effectively if you want to manage your time better. , which will help you determine if a task is high-yield and high-priority, or low-value, "fill in" work. You'll manage your time much better during the day if you know the difference. , which is the satisfying and seemingly effortless work that we do when we're 100 percent engaged in a task. , even when you're faced with distractions. teaches you how to gain control of your email, so that it doesn't eat up your entire day.
. These help you break large projects down into manageable steps, so that it's easy to see everything that you need to get done, and so that you can complete small chunks at a time. Doing this can stop you from feeling overwhelmed at the start of a new project. , and stay cool under pressure. "Do More Great Work", by Michael Bungay Stanier, is full of ideas and tips to reduce the "busywork" that you're doing, so that you're more excited and engaged in the work that matters. Click here for our Book Insight on it. , and, instead, focus on one task at a time. That way, you'll produce higher quality work. at your desk. Try to take a five minute break every hour or two. And make sure that you give yourself ample time for lunch – you won't produce top quality work if you're hungry! You can make best use of your time by scheduling high-value work during your peak time, and low-energy work (like returning phone calls and checking email), during your "down" time. Our article, Is This a Morning Task? will teach you how to do this. When you take the time to overcome these mistakes, it will make a huge difference in your productivity – and you'll also be happier, and experience less stress! , which will help you identify where your strengths and weaknesses lie. You can also take our Bite-Sized Training session, the Time Management Audit, to hone your skills to the next level. 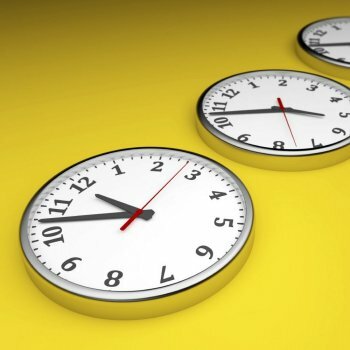 Which of the 10 time management mistakes do you tend to make? One of mine is failing to take breaks. I get into "the zone" and continue to push through. Sometimes this strategy works. More often than not I get overtired and don't produce my best work.